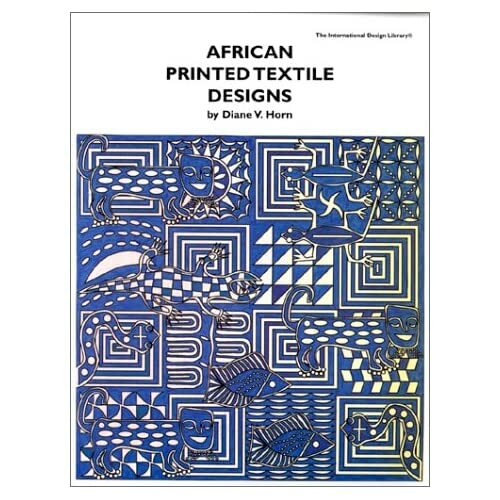 This book describes the authentic designs printed, stamped or painted on textiles such as adire, korhogo and mud cloth. African textiles are absolutely intriguing; this book wasn't. The book is small with a fair number of illustrations. The author seems quite knowledgeable but limited by the small format. A much thicker book would be needed to cover the subject at even a minimal level; the addition of a large number of color photos would be needed to due justice to the intricacies and variety of the textiles. That said, this is a very useful introduction to African printed textiles. If you do not have a deep or wide interest, then this book will likely suit your needs very well.